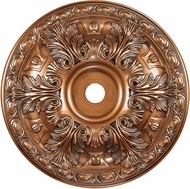 We have the most unique selection of discount home decor products including accent lighting, stained glass artwork, decorative wall clocks, decorative wall mirrors, and fiber optic lights, as well as handmade mail boxes, accent lamps and stain glass art. For subtle enhancements to your Home Decor, we offer a selection of discount home decor products that will fire your imagination without emptying your pocketbook. 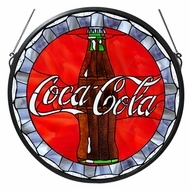 To give natural sunlight a creative boost, browse through our selection of affordable stained glass art pieces. For a touch of colorful radiance, see if a selection from our discount Accent Lighting collection suits your fancy. And for the ultimate in special effects for the home, you’ll be amazed by our “Stars From Mars” Home Theater Fiber Optics system, which turns any ceiling in your home or office into an infinite galaxy for the imagination. The possibilities available using our home decor lighting are limitless. Affordable Lamps is always certain to be on the cutting edge of home decor lighting, but we also appreciate the little things. The subtle accents in your home that give it life and character create a sense of history and class that just can’t be imitated. Many discount home accent) are available to choose from. 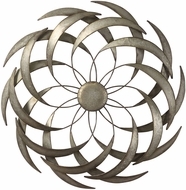 The discount home decor section of our website is dedicated to the little odds and ends that bring your interior design full circle and provide just a little extra bit of personality in your every day life, at great sale prices. Decorative lamps shouldn’t just be limited to task lighting and function, they should also celebrate art and highlight your intuitive fashion sense. 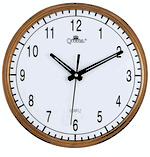 Beautiful wall clocks that light up and show you the time even in the middle of the night, delicate stained glass artwork that catches the light and glows in the final rays of the sunset—these are the subtle accents to your home decor that stick in your happy memories for years to come. All of these discount home accents are available right here. Or, if you’re in the mood for an intense bedroom or home theater system makeover, check out our Stars from Mars fiber optic lighting kits that mimic the glory of the night sky right in your home. Home theater lighting design is enhanced by the addition of fiber optics and will really impress your guests next time you have them over for a movie. 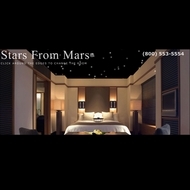 Star from Mars is the best and most realistic of star field “do-it-yourself” installation star ceiling kits. Combine fiber optic stars to create constellations, galaxies, comets, or super novae and air brush your ceiling black or dark indigo for a truly stunning look. It really is the little things that, though sometimes overlooked, make a house a home. Decorative mailboxes that put a smile on the mailman’s face or ornate wall mirrors that reflect the warm light and expand the sense of space in a living or dining room—these are the understated highlights of happiness in home decor. Experimenting with these discount home accents gives you room to build up an interior design that is all your own. Home decor lighting can add to the beauty of your design. Accent lighting and decorative lamps bring an element of calm to your home decor lighting that you never knew existed. By setting up soft glows of light throughout your home, you can establish an intimate and relaxed atmosphere. While overhead ceiling lights and bright task lighting certainly have their place, sometimes it is peaceful to just dim things down a bit and create a romantic setting where you can simply be in your home, instead of always doing tasks. Our (home decor lighting) can help you achieve this in an inexpensive way. Another way to recreate a little piece of nirvana in your home is to employ the use of timeless and elegant water fountains. The soothing sound of ripples gently cascading down a work of sculpture will lure you into a soft, happy daze and remind you that you are at home and at peace. The playful gurgles and lapping water sounds from your delicate stone fountain will generate an aura of tranquility and you’ll grow to appreciate your decorative Kenroy fountain as the years go on. 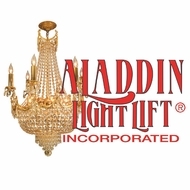 Lastly, for those contemporary lighting gurus who really wish to dazzle their guests with elaborate chandeliers but simply don’t have the means to lift the gorgeous fixtures, Affordable Lamps is proud to introduce Aladdin Light Lifts, a much better alternative to flimsy, dangerous ladders or expensive electricians. Using simply a key or a button, you can have an elaborate system of pulleys lift your hundred pound chandelier with ease—certainly makes dusting a lot easier! Each of the affordable home decor options available are among the best you can buy . The prices are cheap, but the quality is outstanding! 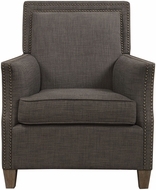 Browse our site and check out our discount home decor and amazing prices.